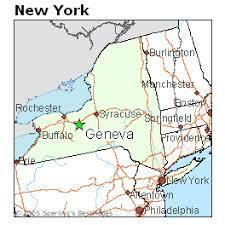 at 585-442-2430 for details, or sign-up at the Chess Center in person. This league runs from 10/2/17 thru 12/4/17. Games start at 7pm. $2 less if you played in Summer 2017 league. Non-members add $8. Play every Monday. Dec 4th is for make-ups. Jan. 8th, 2018 starts Winter league. 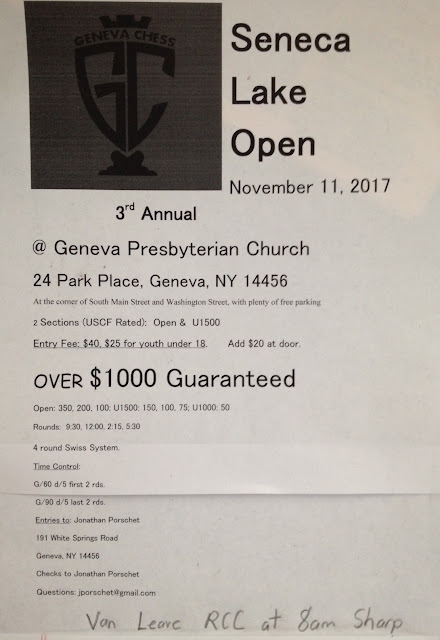 Note: Scroll down this post for tournament flyer. Please check in by 7pm. Do not call ahead unless you are unable to play, or you will arrive later than 7:20pm. We will also have rated games for players not in the championship. Round #1 is Wed. Oct. 4, 2017 at 7:30pm. Pizza, Snacks & Beverages will arrive by 6pm for the chess players. The two lectures will cover different topics. Lev Paciorkowski, USCF Master. Rating 2359. Lev taking questions during his lecture. Lev for winning 1st place at the 8th Annual Hartford Open this past weekend (9/22-9/24)! 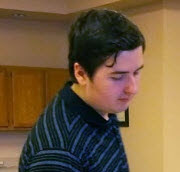 Chess Master Lev Paciorkowski's USCF rating is now 2376! Clif Kharroubi, USCF Candidate Master. Rating 2114. The 21st Annual Community Chess Club Championship! 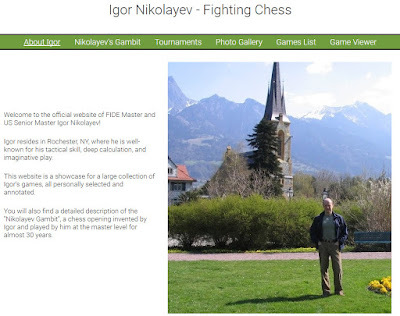 highest rated (2399) Rochester chess player: FIDE Master Igor Nikolayev. this past Wednesday night, August 23rd. It was a titanic battle, as Don likes to say. We wish Daniel the very best of luck as Daniel begins college classes soon at Brandeis University. 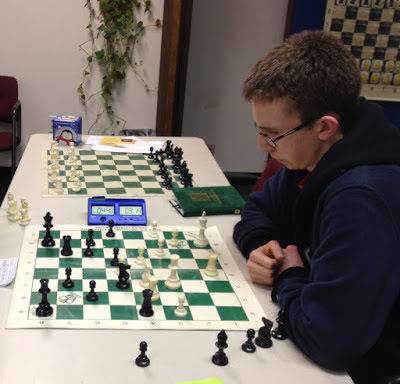 The Rochester Chess Center's weekly Youth Tournament is 10am-1pm, $5 entry fee It is held every Saturday. 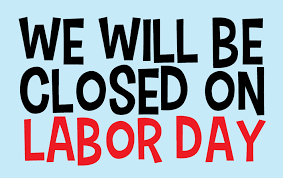 However, the Chess Center will be closed for Labor Day Weekend September 2-4. 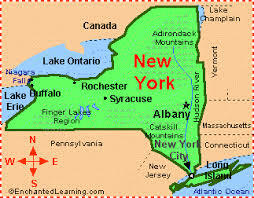 Call the chess center at 585-442-2430 for more information. We are very happy to have had National Master Laszlo Tapaszto play many tournaments with us over the last month. We had a party for Laszlo on his last evening of chess Wednesday night, August 16th, until he visits again in December. 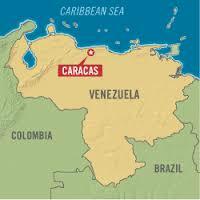 Laszlo is going back home to Caracas, Venezuela. Laszlo and his wife Pat. The Chess Center is sending a van for passengers and has reserved several rooms at the hotel for local chess players. Contact or visit the chess center for details and to sign up for a ride and/or hotel room. This is a nice event at a nice hotel. It would be great to see a lot of local players support the event organized by the Continental Chess Association. The deadline for the $102 chess rate for guest rooms at the Albany Marriott expired three days ago, but these rooms appear to be still available. Reserve now as this special rate could be discontinued at any time. IN 5 SECTIONS: Championship (1800/up), Under 2100, Under 1800, Under 1500, Under 1200. 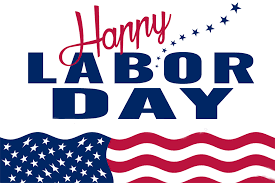 Option of 4-day schedule Sept 1-4, 3-day Sept 2-4, or 2-day (except Championship Section) Sept 3-4. All merge and compete for same prizes. is posted, including events played through the World Open. 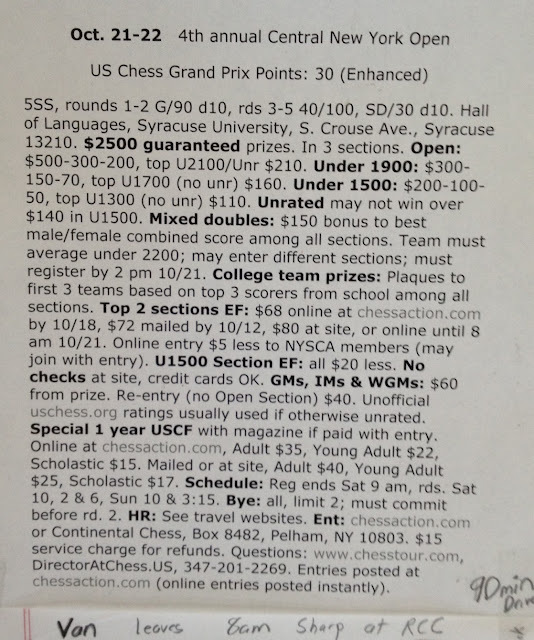 The ratings are used, if above USCF ratings, at all tournaments held by Continental Chess. effective immediately. After you enter online at chessaction.com, click on "entry list" for your event at that site and your name, section and schedule will be there! The program also sends a confirming email, but this does not always get through, and is not really necessary. All tournaments held by Continental Chess use the OFFICIAL rating corresponding to the ENDING DATE of the tournament. For example, a tournament ending Nov 1 uses the November official ratings (events submitted by the third Wednesday in October), but one ending Oct 31 uses the October official ratings (events submitted by the third Wednesday in September). 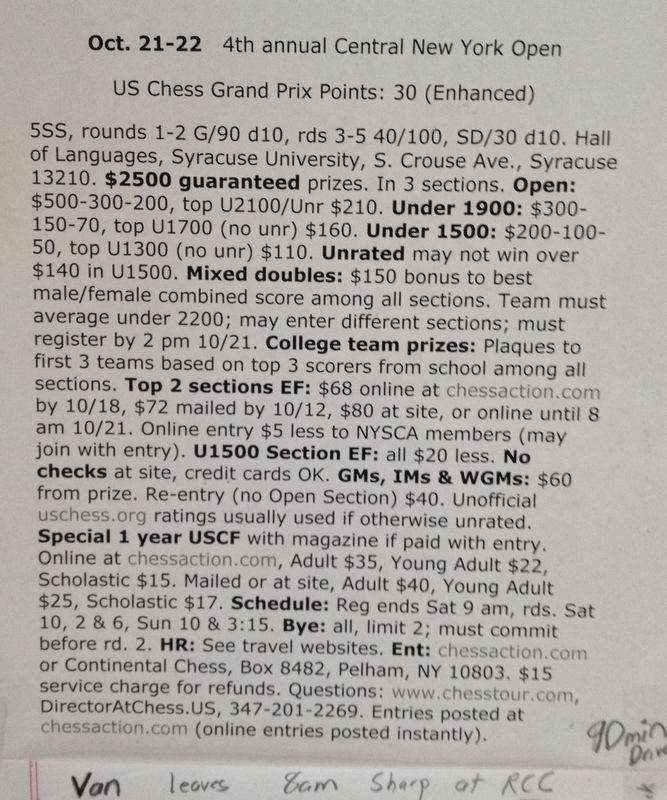 This is a bit different than the USCF recommendation to use the starting date. We use unofficial web ratings ONLY if the player would otherwise be unrated. For sections offering FIDE norm chances, FIDE ratings are used, corresponding to the starting date of the tournament. The shopping cart offers only half point byes that will occur before the players arrive at the tournament: round 1, rounds 1 and 2, rounds 1 through 3, or rounds 1 through 4. BYES THAT WILL OCCUR AFTER A PLAYER BEGINS PLAY SHOULD BE REQUESTED ONLY AT THE TOURNAMENT. We don't want to hear about these byes in advance because they are often changed (sometimes more than once), causing extra work and occasional pairing errors. probably wrong! If you are told this a few weeks before, it could be correct, but there is still a good chance it is wrong. Even if you try to reserve late (after the advertised deadline), if you are told "not available," it's best not to accept this as the last word- ask for the hotel Sales Office Monday-Friday 9-5 and if that doesn't work, send us an email. Sometimes that late the hotel is really sold out or has discontinued the chess rate, but there is still a fair chance that the person you are speaking to is poorly informed, and you can get a room at the chess rate or not too much more expensive. For reservations by phone, some hotels won't recognize the tournament unless you ask for "Continental Chess," or "CCA," or the tournament name, or the "chess tournament," or the "chess rate." Try all these variations if one doesn't work. If an online reservations link is offered, often you can obtain the chess rate through the link even when you are refused by phone. Always try the link first before calling! Hotels do often sell out, either the chess block or the entire hotel. Asking for a reservation by the announced deadline date DOES NOT GUARANTEE YOU A ROOM, as it is possible that our chess block, or all rooms, have sold out before the deadline. 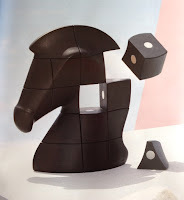 If you make a reservation a few weeks before the deadline, you will almost always be able to obtain the chess rate. A note of thanks to Community Chess Club member Randy MacKenzie who donated a laptop to the Community Chess Club and has created a pairing sheet software application. The software is very easy to use and easy to manage. The software application helps us produce very professional pairing sheets in a fraction of the time it took to do by hand. Thanks to Randy for being part of a team of Community Chess Club volunteers whose goal is to help our chess club grow and become one of the best chess clubs.